Please excuse the jaunty “wanna smack her in the face” expression. It felt cute at the time, now it just feels… mildly irritating. 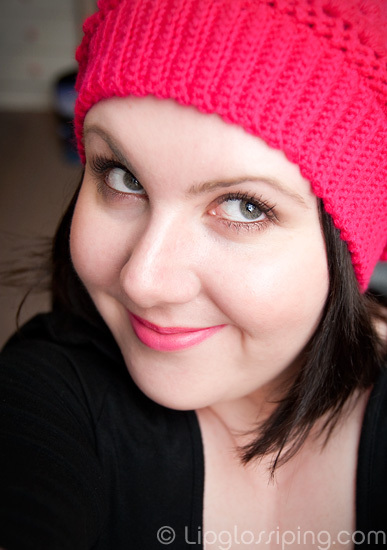 Anyway… lookee, my new pink hat from the wonderful Eliza! Knitted by her own fair hands! 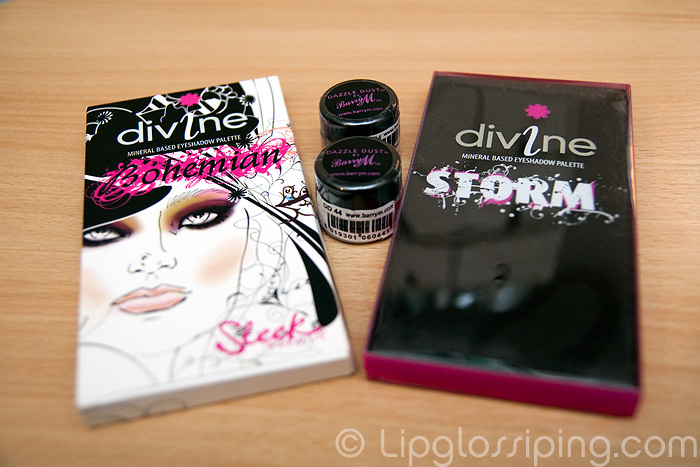 I was lucky enough to win her giveaway and I’m delighted I did ‘cos I love it! The pink is SO HAWT it made my camera have a freak out! Thanks ever so much Eliza, I’m super chuffed with my goodies! Go give her some blog love, like NAO! I want to see the inside of the palettes!!! Please show us, we don’t have these in the US! You can see the inside of the Bohemian Palette here. You look so cute! Love the pink hat! Your pictures is adorable that hat was made for you! Lovely lovely pink!!!!!! Sooo hot! WHYYYYYYYY can’t I find the Bohemian palette anywhere? Are they all gone now? @Redtiger21 – yep gone now as far as I’m aware… though I did see a couple on eBay that went for less than retail price. @Sydney – Yay! I’m glad you snagged a bag! So glad you liked everything sweetie. And that pink made my camera go crazy too!